Disaster! After the usual messing about with the catalytic converter for the MOT to keep the car legal on the roads in the UK swapping it out for with the de cat pipe. The exhaust moved a bit, enough to be just pressing up against the rear bumper causing some 'light melting' damage. Not that anyone would ever notice I thought it would be an opportunity to have a play with a carbon heat shield. 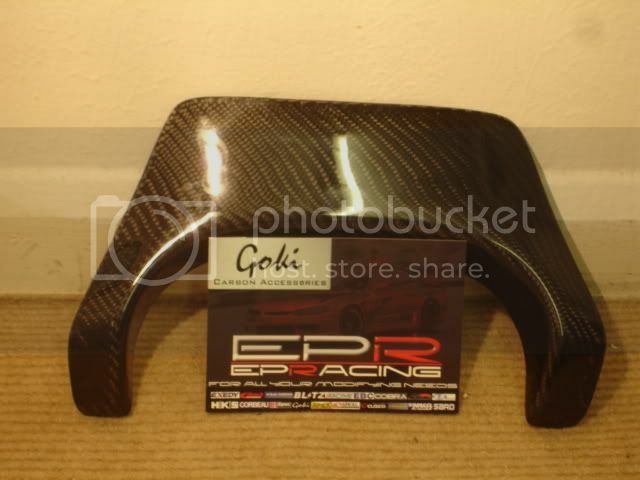 I sourced the heat shield from EP Racing and it retails at a whopping £60. Although carbon parts are usually quite expensive. The irony being that personally I can't stand the sight of carbon and think it looks a bit cheap! The component itself was well made, if a little deformed. Heated with hairdryer to get it to conform to bumper. Fitting was reasonably straight forward, in fact I made this part of the process hard for myself as even though I knew it was deformed, I assumed (wrongly) that the sticky pads I had acquired would 'pull' it into shape. 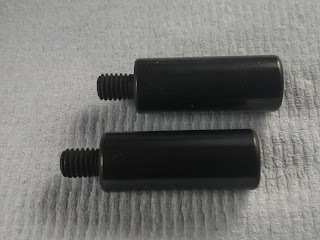 I prepared the part by roughing up the lacquer finish slightly and using a thick filler primer to fill any pin holes. I then sprayed a coat or two of Nissan Kuro Black. So I had the heat shield stuck firmly on the car and half hanging off at the same time! So after wrenching it free and picking off the sticky tape, I applied new tape and this time took a hair dryer to it, heating the carbon fibre up. I then pressed it into the rear bumper and it conformed to the curves like a dream! It would probably have been a much better idea to have done this before painting, but we live and learn! ﻿After some flatting back and polishing up the end result, although not spectacular. looks reasonably subtle and actually quite good. Hope you all agree dear readers!